We all know that OMW is one of the most difficult measures to achieve 5 STARS. You have now found the one solution, which has been proven many times over, to improve your HEDIS OMW measure from the low 2, 3 or 4 STARS to 5 STARS. Fantastic. This solution will help you reduce costs, and guarantee that you preserve your hard to achieve 5 STARS. Portable Bone Density Solution meeting the standard requirement of NCQA Hedis OMW measures to CLOSE THE GAPS. 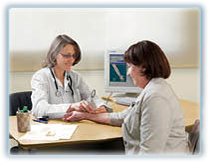 BeamMed’s Hedis OMW Bone Density Solution that fit the NCQA Hedis measures and close the Hedis gaps. Test takes less than 5 minutes at any office setup by any trained operator. Hedis reporting proved that Medicare 5 star rating was achieved in just a few months of using our MiniOmni bone density assessment.